Happy Friday! 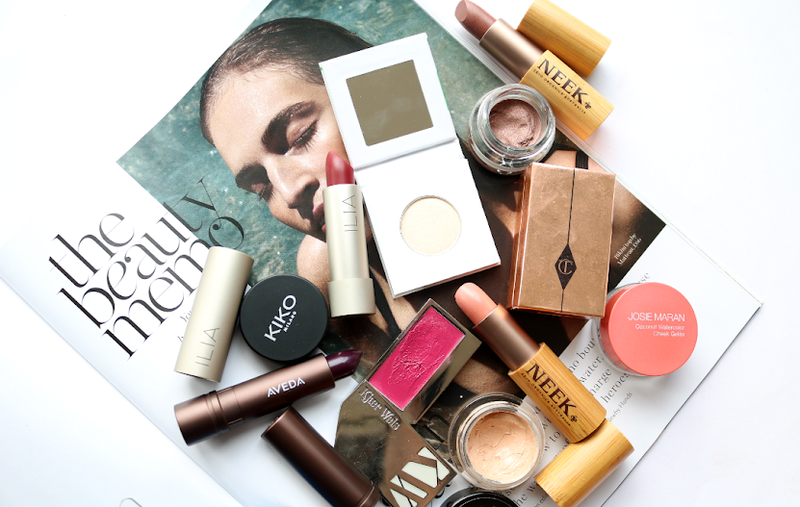 Last Saturday, my The Vegan Kind box for this month arrived and I couldn't wait to get stuck into the contents after seeing a couple of spoilers online - it's another good 'un! 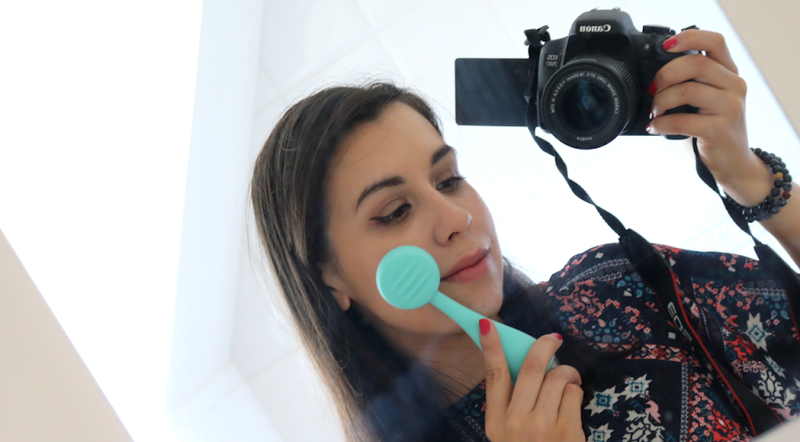 For those of you who haven't heard of The Vegan Kind before, it's a monthly lifestyle subscription box that mainly contains food and drink, with the addition of usually one or two lifestyle or beauty products. 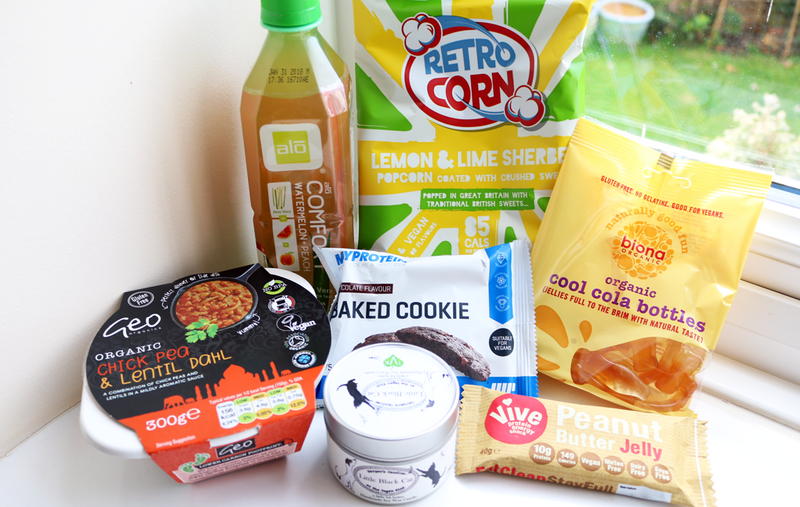 As the name suggests, everything in the box is suitable for vegans, and although I'm not a vegan myself (I'm vegetarian), I am trying to cut back on dairy so I really enjoy receiving these boxes and seeing the new variety of vegan-friendly food and drink that's now out there. 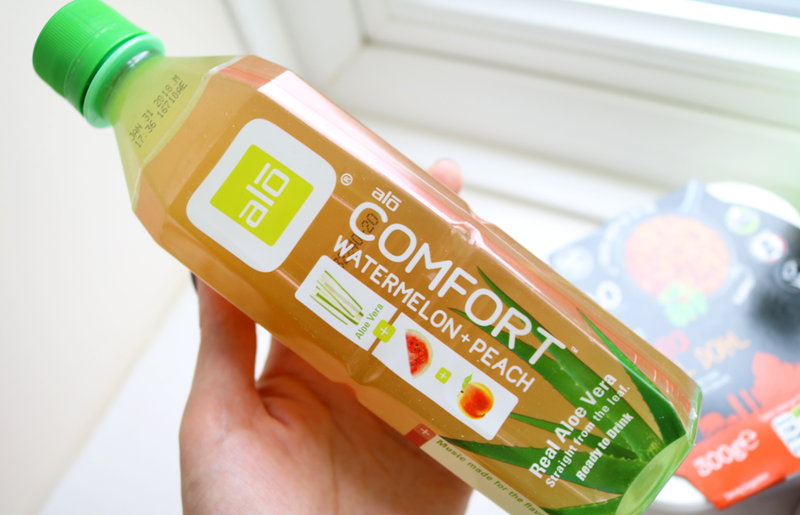 Although Summer has sadly now passed us by, this ALO Watermelon & Peach Drink is wonderfully refreshing and reminds me of much sunnier days! It's very fruity and contains 15% Aloe Vera Juice and 10% Aloe Vera Pulp for a little health boost when you're on the go. 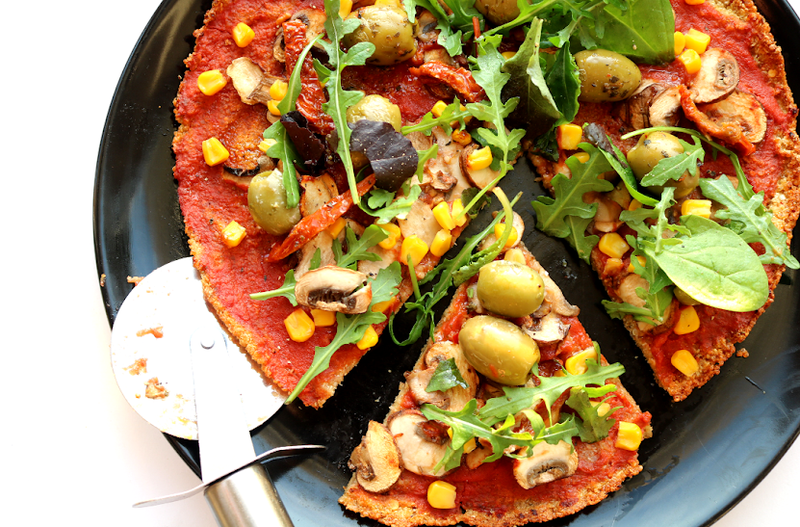 Gluten-free, fat-free, no artificial flavours, colours or preservatives and it's also non-GMO Project verified - brilliant! 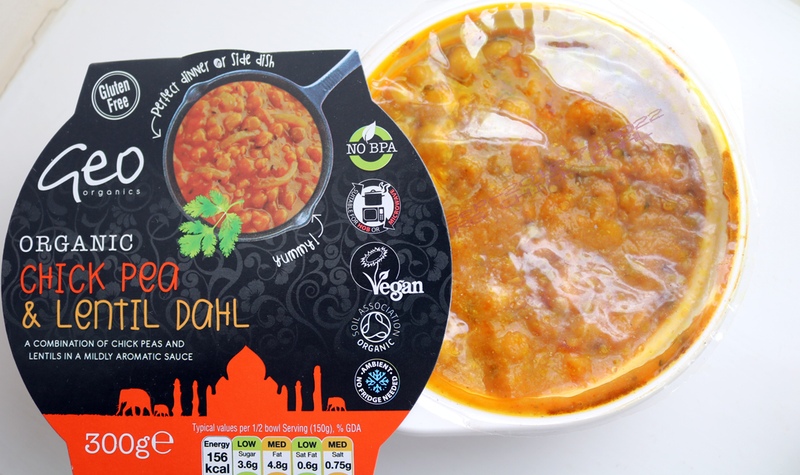 I love chickpea and lentil curries so I was keen to try this dish from Geo Organics. It's organic, gluten-free and the plastic container is free from BPA which is something that I haven't seen regularly around from other brands. You can cook it on the hob or microwave and this portion was enough for myself and my sister to share as a tasty side dish, and tasty it was with just a hint of spice. I'd definitely buy this again to have in the cupboard for those days when you're too busy to cook from scratch. Retro Corn specialises in popcorn that's coated with the flavouring of classic retro sweets, which sounds like a neat idea, but I'm not sure it's for me as I wasn't keen on these at all. 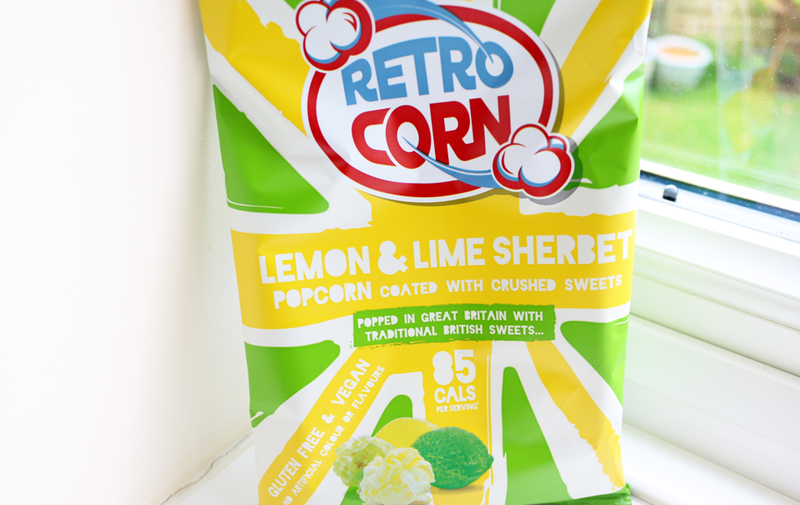 The Lemon & Lime Sherbert flavour is just how you would imagine it and my housemates soon finished off the rest of the bag when I left them on the side! 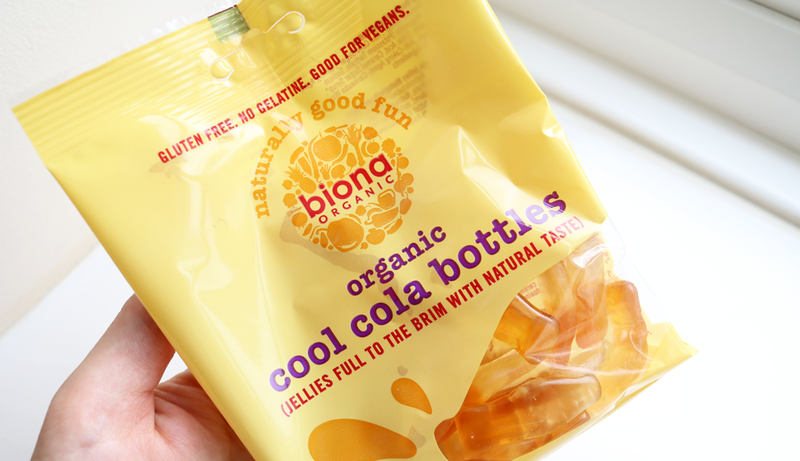 If this sounds like your thing, they're gluten-free and only 85 calories per bag. Being a vegetarian means that I haven't had any gelatine sweets since I was a kid at school, so I've been a fan of these gelatine-free ones from Biona since they came out. They're obviously more expensive than the likes of Haribo, but they're also organic and super moreish - I can easily eat a bag of these when I'm watching a movie at home! Protein cookies make delicious post-workout snacks (or a healthier breakfast on the go like I often have them for), and it's great to see more brands doing them without the added whey. 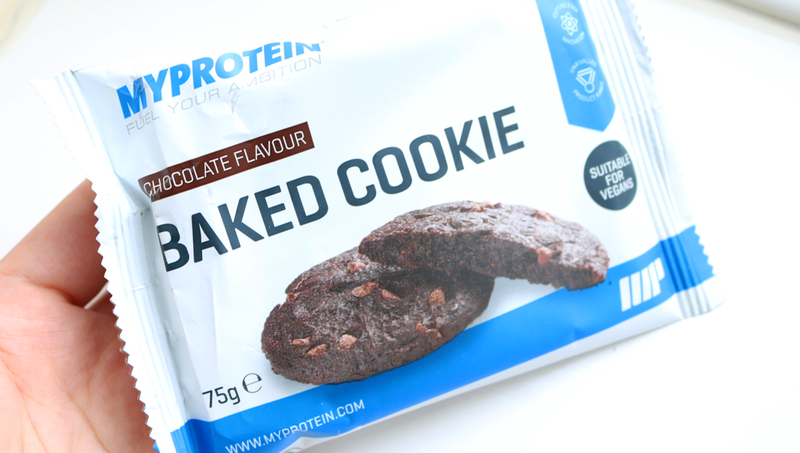 Instead, this Chocolate Baked Cookie from MyProtein gets its protein from Wheat and Soy and contains 13g per cookie which is pretty impressive. My main tip with these is to warm them in the microwave for a couple of seconds before eating them - it softens the cookie and makes it so much yummier. This one is really nice and chocolatey which is perfect when I want a chocolate fix. 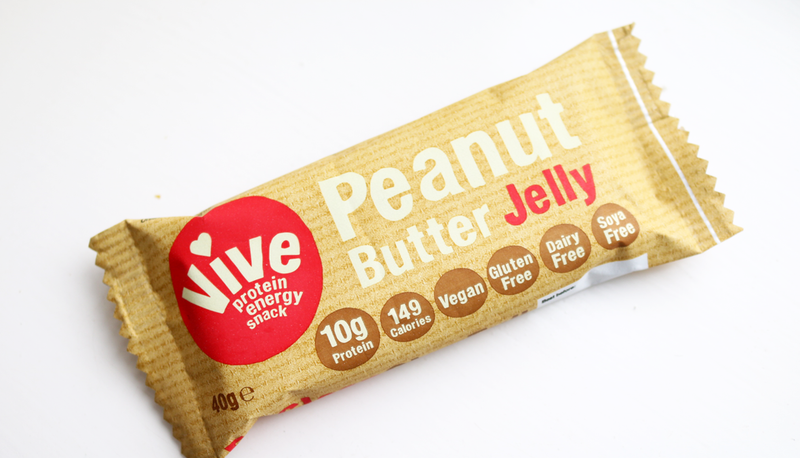 If you prefer a more traditional protein bar snack instead, this one from Eat Vive is absolutely delicious and has an awesome PBJ flavour with a really good texture. It's gluten, dairy and soya free, contains 10g protein and is 149 calories per bar, so ideal if you want a healthier mid-afternoon snack or post-gym treat. This brand is a fab new discovery for me and I love the simple ingredients which include Dates, Peanuts (21%), Pea Protein (20%) and Coconut Nectar. 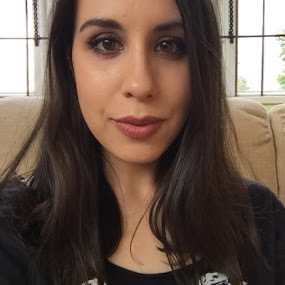 The last product is a beautifully scented candle from Harper's Candles who are a regular feature in The Vegan Kind's boxes, and one that I'm always happy to see in there. 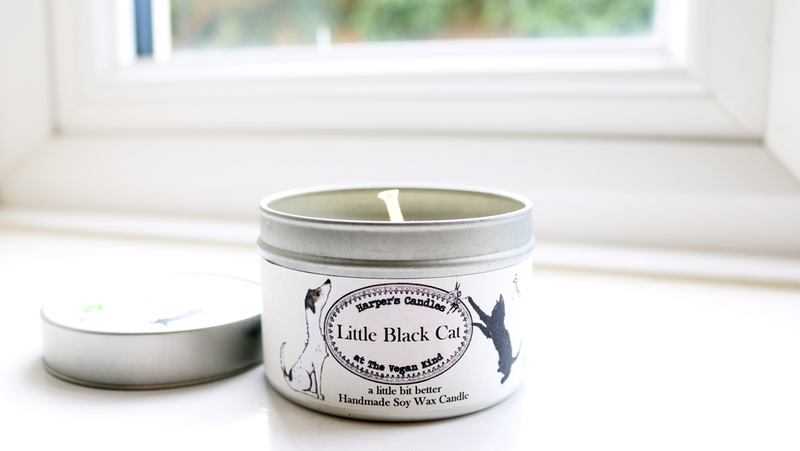 This Halloween exclusive Little Black Cat scent is sweet and uplifting, perfect for this time of the year and burns cleanly as it's handmade from soy wax. Gorgeous! Also in the box: This month's recipe card is for Cashew Udon Noodles (sounds good!) and October's chosen charity is the Tower Hills Stables Animal Sanctuary, who provide a forever home for over 400 animals including dogs, cats and horses. They're currently fundraising for more accommodation so they can help rescue chickens, so check out their website here for more info.